TOKOROZAWA - Taisuke Yamaoka wasn’t able to keep the Seibu Lions in the park, but he did limit them to two runs over six innings as he pitched the Orix Buffaloes to a 4-3 win over the Pacific League leaders on Wednesday. Yamaoka (3-10) had been working out of the bullpen since the start of August after losing eight-straight decisions as a starter. 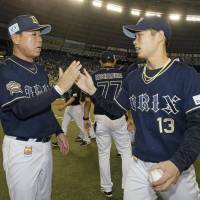 But given another shot, Yamaoka surrendered five hits and a walk, while striking out three. The 22-year-old was working on three days’ rest after 3⅓ innings of relief on Saturday, and was pulled after throwing 87 pitches. The win was his first since April 22. “I learned I was going to start very late,” Yamaoka said. “Even so, I didn’t feel any fatigue. I was prepared in the event they might call on me, so I’m glad I got the chance. The Buffaloes grabbed a two-run lead in the top of the first against Kona Takahashi (1-1). After a leadoff walk, former Lions star Hiroyuki Nakajima went deep at his old home park for his second home run of the year. With two outs in the second, Shuta Tonosaki belted his 16th home run for the power-laden Lions, making it a 2-1 game. But Orix’s Masataka Yoshida answered back in the second, homering with a man on — despite breaking his bat. The Lions closed to within two in the sixth, when Hotaka Yamakawa hit his Japan-best 33rd home run. Takeya Nakamura, a six-time PL home run champ, added another solo shot in the seventh. 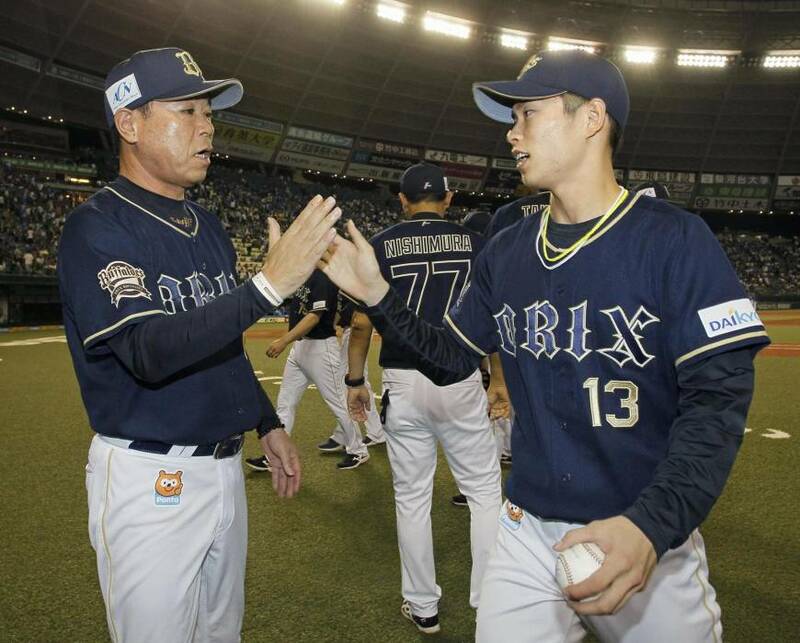 The Lions made Orix closer Hirotoshi Masui throw 21 pitches in the ninth but he got out of the inning with the tying run stranded on second to record his 28th save. At Sapporo Dome, former Cleveland Indians farmhand Toru Murata (5-2) allowed an unearned run over 6⅓ innings and Daiki Asama drove in two runs with his first home run in two years as second-place Hokkaido Nippon Ham got past Chiba Lotte. At Fukuoka’s Yafuoku Dome, Rick van den Hurk (8-7) allowed one run over six innings, Alfredo Despaigne reached base four times and scored three runs, and Yuya Hasegawa homered twice and drove in four as SoftBank beat Tohoku Rakuten. At Nagoya Dome, Ryosuke Oguma (2-0) struck out 10 over eight innings, while Zoilo Almonte went 3-for-3 with two runs and two RBIs as Chunichi blew past Yokohama. At Jingu Stadium, Yoshiyuki Kamei, Kazuma Okamoto, Jorge Martinez and Casey McGehee each hit a two-run home run as Yomiuri defeated Tokyo Yakult. At Osaka’s Kyocera Dome, Yoshihiro Maru had a pair of RBI doubles and drew a bases-loaded walk, while Seiya Suzuki hit a two-run home run to lead league-leading Hiroshima past Hanshin.